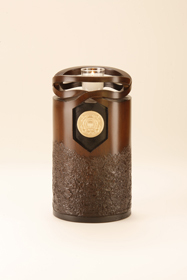 The Infinity Memorial Art Urn’s classic tree trunk cylinder form was inspired by nature. The carved ribbons weaving infinitely up and down represent life’s ebb and flow and our connection to each other. Categories: Medallions, Single Capacity Urns. Tags: artistic urns, ash urns, Coast Guard Cremation Urn, Coast Guard Urn, cremation urns, designer urns, memorial urns, single capacity urns. 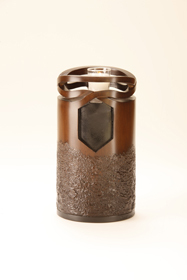 The Infinity Memorial Art Urn’s classic tree trunk cylinder form was inspired by nature. The carved ribbons weaving infinitely up and down represent life’s ebb and flow and our connection to each other. 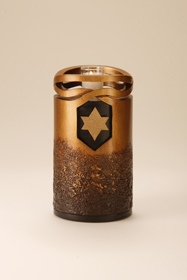 The light from its votive candle symbolizes the spark of life in each of us. 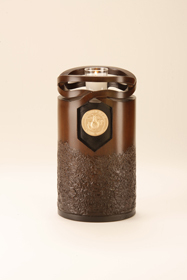 This Infinity Memorial Art Urn is a shelter for ashes, a shrine and remembrance, honoring and preserving the memory of our loved ones. It carries our memories forward keeping them alive in time and in our hearts. The recessed niche is a decorative detail that can remain empty or be used to display a commemorative, religious, fraternal or military medallion. 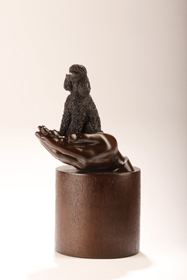 This Resin cultured wood urn is hand cast, finished and individually painted by a skilled crafstman. 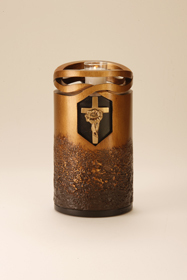 As with all individually created works of art the hand finishes on this Memorial Art Urn will vary slightly from one to the next in color and texture. 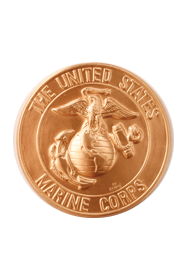 Marine Corp Medallion This medallion comes with the Infinity Urn. Bronze and Wood finishes are available.